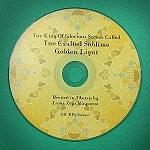 This CD is restricted to only those with the appropriate tantric empowerment. To receive the download you must write the name of the empowerment you have received and from whom in the "comment" section at checkout. If you are unsure whether you are qualified, email us at education@fpmt.org. Chod means "Cutting Through". it is based on the teachings of the Buddha called Prajnaparamita- the sutra teachings on emptiness and selflessness. Sound has always been an integral part of this practice. 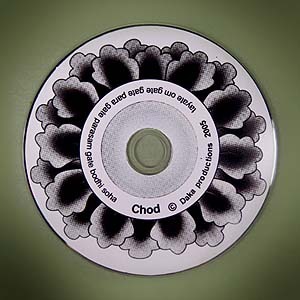 Chod is chanted to hauntingly beautiful melodies, accompanied at times by hand drum, bell and at one point of the practice, a human thighbone trumpet. The chants are performed by a group of nuns from Khachoe Ghakyal Ling Nunnery in Kathmandu under the guidance of Geshe Losang Jamyang, previous abbot of Thubten Shedrup Monastery in the Everest area. An original recording of the complete Chod practice according to Pabongkha Rinpoche's text Dedicating the Illusory Body. Play time: approx 65 minutes .